Six Kildare students have won top prizes in this year’s 64th Texaco Children’s Art Competition. Tara Neville Moynihan, aged 14, a pupil at Coláiste Chiaráin, Leixlip, took first prize in the 14-15 years age category. 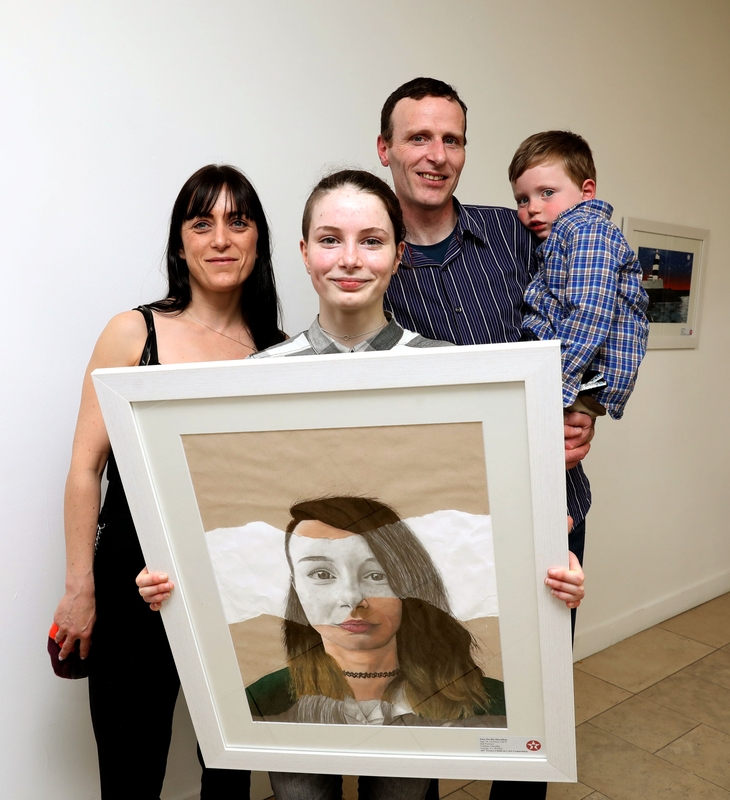 She won €450 for her self-portrait. Tara had won a Special Merit Award in last year’s competition. Other winners from Kildare, all of whom will receive a Special Merit Award, are Eilis Pluymers (14), from Celbridge Community School; Ross McHale (13), from Patrician Secondary School, Newbridge; Lorna Fokam (12), from Presentation Girls School, Maynooth; Liam Kelly (7), from Scoil Mhicíl Naofa, Athy and Amy Kenny (5), from St. Laurence's National School, Sallins. Prizes will be presented at an awards ceremony in Dublin next month when all of the 126 top prize-winners will be in attendance.